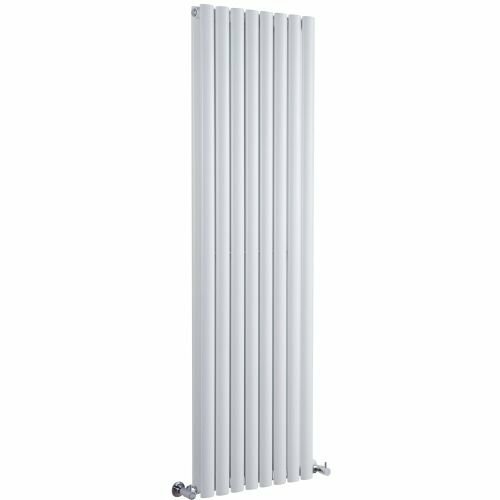 Featuring a white powder coat finish to complement any decor, the Hudson Reed Revive vertical designer radiator is perfect for adding contemporary style to any room of your home such as the lounge, bedroom, kitchen or bathroom. Boasting an impressive heat output of 2,960 Watts this double panel radiator will transform your room into a warm and inviting space. The vertical design of this radiator is ideal for where wall space is limited. Our radiators are designed for forced circulation closed loop systems only. They are not compatible with open loop, gravity hot water or steam systems. Suitable for bathroom, cloakroom, kitchen etc. If you have any questions about this product by Hudson Reed, contact us by completing and submitting the form below. If you are looking for a specif part number, please include it with your message.